You have been chosen to preserve the glory of the Empire! Control the galaxy with the might of Kahless and be immortalized in the Hall of Warriors! Victory shall be yours if you conquer all the systems within the galaxy. Kronos, Romulus, and even the Federation's precious Earth are all up for grabs as you battle to bring your enemies to their knees. 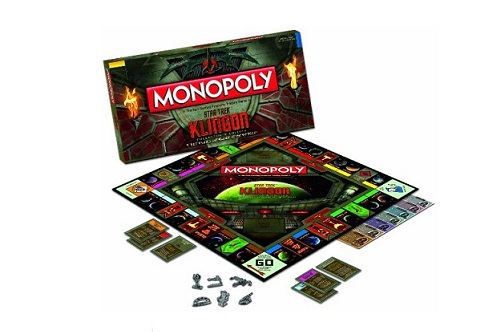 Includes Klingon translation by Marc Okrand, customized game board, collectible tokens, and rules.